Over the last few years, I've pitched my tent on the anti-copyright and anti-patent side of the libertarian camp. In other words, I don't hold that ideas are property, or can be property, and the granting of such monopoly privileges by the state is an act of theft and wealth redistribution of all real property owners. That evening, John attends a restaurant dinner celebrating a friend’s birthday. At the end of the evening, he joins the other guests in singing “Happy Birthday.” The moment is captured on his cellphone camera. 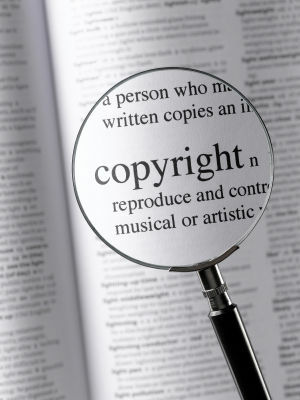 He has consequently infringed on the copyrighted musical composition by publicly performing the song and reproducing the song in the video recording without authorization. Additionally, his video footage captures not only his friend but clearly documents the artwork hanging on the wall behind his friend—Wives with Knives—a print by renowned retro-themed painter Shag. John’s incidental and even accidental use of Wives with Knives in the video nevertheless constitutes an unauthorized reproduction of Shag’s work. At the end of the day, John checks his mailbox, where he finds the latest issue of an artsy hipster rag to which he subscribes. The ’zine, named Found, is a nationally distributed quarterly that collects and catalogues curious notes, drawings, and other items of interest that readers find lying in city streets, public transportation, and other random places. In short, John has purchased a magazine containing the unauthorized reproduction, distribution, and public display of fifty copyrighted notes and drawings. His knowing, material contribution to Found’s fifty acts of infringement subjects John to potential secondary liability in the amount of $7.5 million. Simply WOW! The best part about this is that as absurd as this shows copyright to be, his examples are things we all do every day. Little infringements like humming a or singing along with a tune on the radio, or capturing a painting in a photograph of a friend. And these add up to billions every year. We are all guilty. 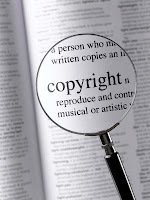 Unless you live under a rock, literally, you have probably infringed on somebody's copyright today. Take this for what it's worth. It's not even a reductio ad absurdum. It's an every day example. Something is clearly wrong here, and I believe it begins with treating ideas, non-scarce and infinitely reproducible, as objects of property. The square blocks that are ideas do not and cannot fit in the round hole that is property rights.